Trinidad and Tobago tourism is a primary revenue earner of the country as the number of people visiting this island is scaling new heights every year. There are various reasons for the growth of the Trinidad and Tobago tourism industry. The majority of visitors visit this Caribbean isle to experience the spectacular beaches, sunshine, food, music and pulsating lifestyle of the country. Others keep returning to the country to meet relatives or friends and renew old ties. These are the important factors that have promoted the Trinidad and Tobago tourism industry. The beauty of the isle is something that only has to be experienced. The breathtaking view of the clear sky merging with the aquamarine sea, right from the rooms of the Trinidad and Tobago resorts draws tourists in large numbers. The city of Port-of-Spain is a place offering a slice of the typical Caribbean life, with its colorful crowds and activities. Other places like the Argyle Falls and Tobago Forest Reserve showcase the best aspects of nature. The historical Fort King George is also responsible for making Trinidad and Tobago tourism a hit. The different types of holiday and tour packages for Trinidad and Tobago tourism make it all the more exciting. Accommodation in Trinidad and Tobago isn't a problem with comfortable places like the Hilton Hotel, Marriott Courtyard and Holiday Inn Crowne Plaza. Active water sports, sensational adventures and the celebrated carnivals are some activities that have enhanced the prospects of Trinidad and Tobago Tourism. Trinidad and Tobago Travel is full of excitement and adventure. Adventures include scuba diving and a lot more. 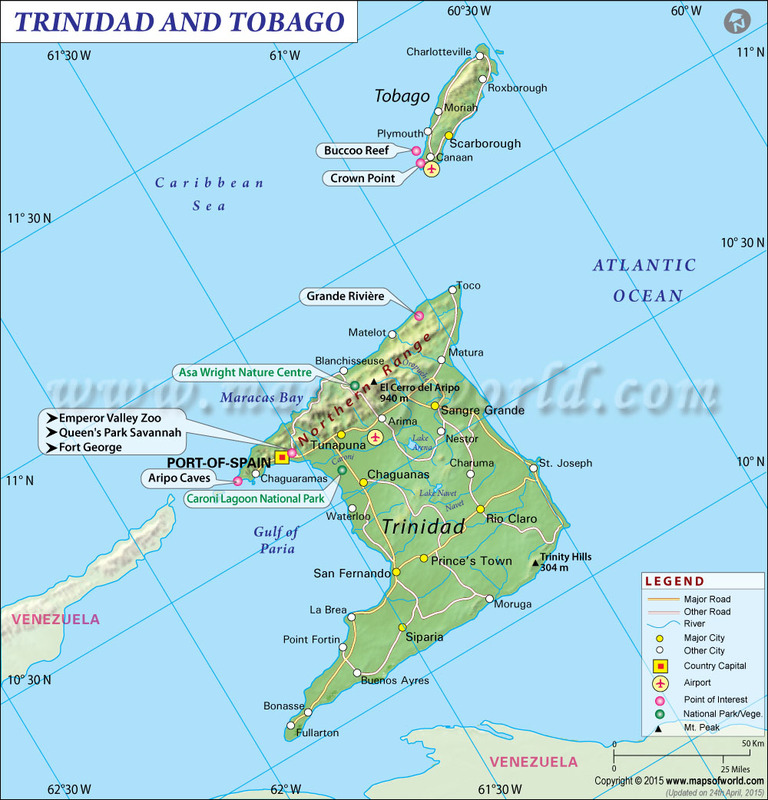 Trinidad and Tobago Travel Guide gives a brief idea about Traveling in Trinidad and Tobago. Because of the well developed and systematic transport and communication, traveling in Trinidad and Tobago becomes extremely easy and comfortable. The luxurious hotels offer great services and facilities, with warm hospitality, which definitely welcomes the guests from far and wide, making Trinidad and Tobago Traveling famous. The resorts also have their personal beaches, which is of a great choice to the elite class. Sightseeing in Trinidad and Tobago mainly includes visiting the different beaches as the beaches are the main attraction in these islands. whereas some of them are the branches or franchisees of the international tour companies. The tourism companies appoint the tour agents so that they can grab the attentions of the tourists through their attractive tour packages. Tour Agents of Trinidad and Tobago refers to those tour agents who deals with the domestic tours as well as arrange for the tours abroad that is outside Trinidad and Tobago. The tour agents make the Trinidad and Tobago tour of the visitors so enjoyable with their facilities and services that these things will make them visit the place all over again. After all, the tourists demand a nice stay and comfortable trip, which satisfies the most.